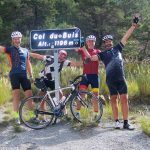 This post is the first of our four rides in the region (in addition to a dawn ascent of Bonette). 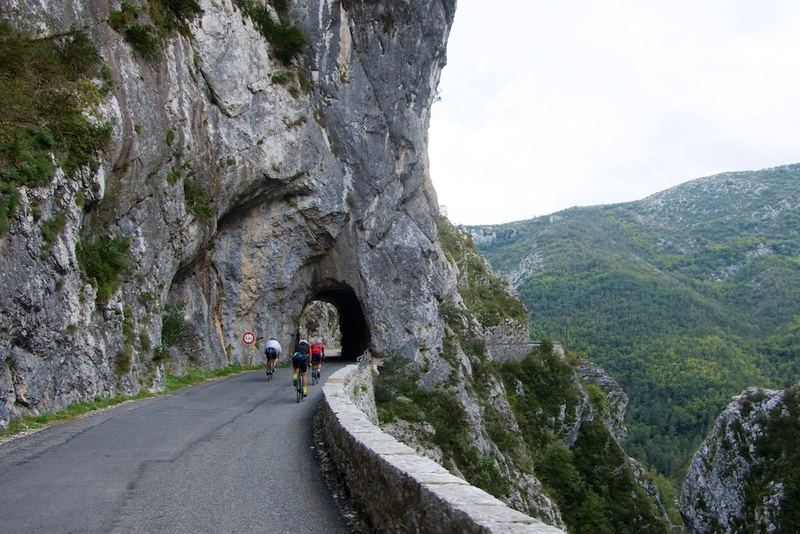 We would pass five cols and three “clues.” The entire 90 kilometre route is beautiful. Sparsely populated forested mountain valleys, gorges, cliff stretches, etc. This is the orange route on the map below. 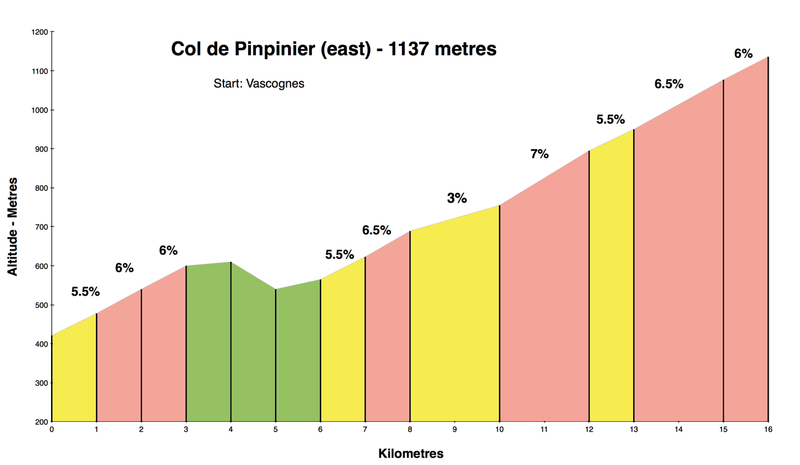 As the route profile below shows, there were two primary climbs. 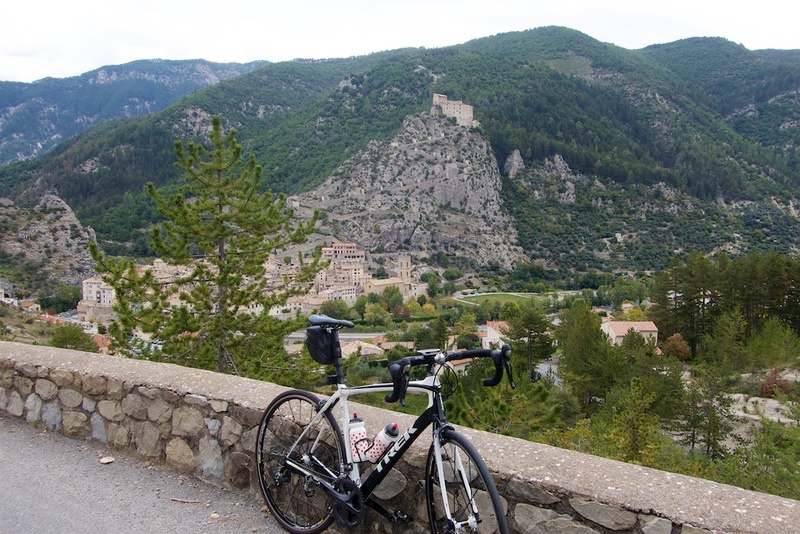 The first was Col de Pinpinier. Nothing too difficult, but lovely. Near the beginning of the climb we would pass through the first clue. 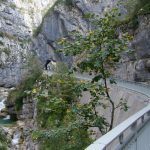 A “Clue” (south French Alps) or “Cluse” (north French Alps) is a gap/valley, a perpendicular cut through a mountain usually with a river. It allows one to pass from one valley to another without going over a col. See here for details of the “Route des Clues” tourist road that we partially cycled. After Col de Pinpinier, we would climb the easier side of Col du Buis (we would ride the crazy-steep north side a couple of days later). But before the Col we had to pass through the superb Clue de St-Auban. 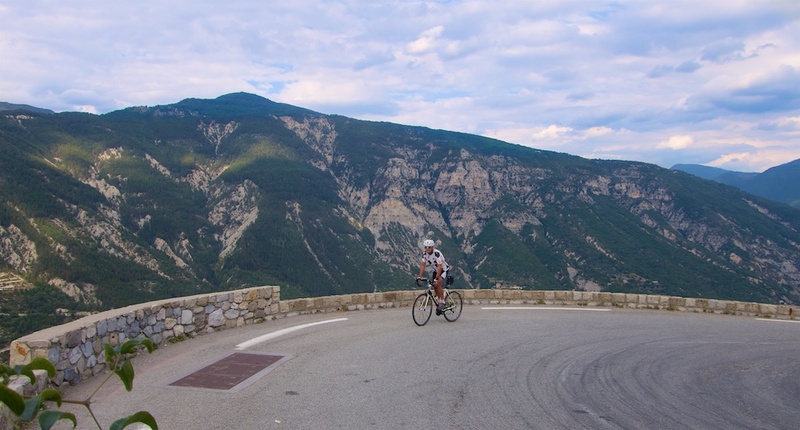 Great views as Alfie nears Col du Buis (1196 metres). 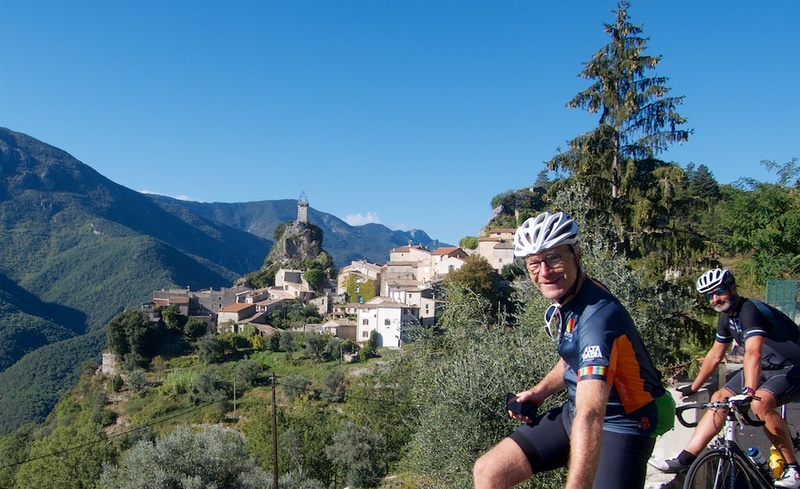 After the steep descent of Col du Buis, there is a brief climb to Col de Félines (930 metres) and then a hairpin-filled descent to the historic medieval village of Entrevuax and its perched fort. A perfect spot for a quick snack. 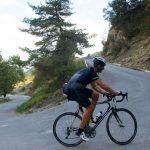 After a quick traverse on a slightly busier road down low we would begin the second big climb of the day to Col de Saint Raphaël (876 metres) and above. 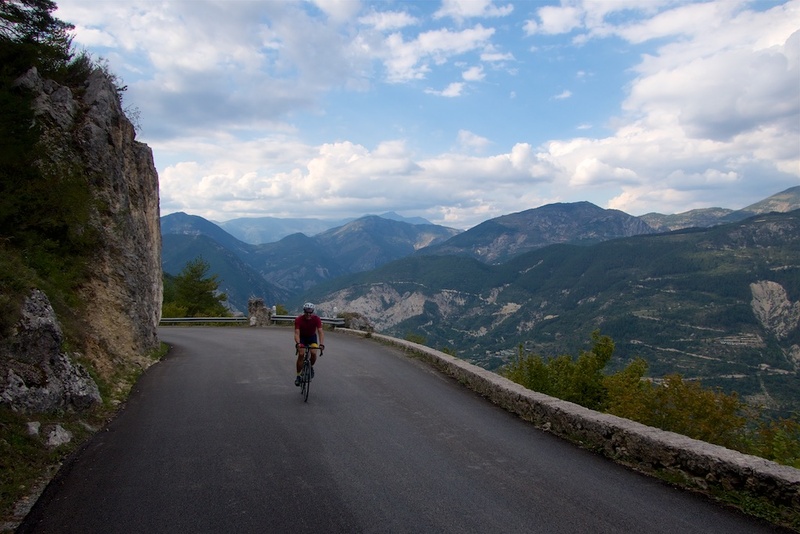 It’s a well surfaced climb with plenty of hairpins and cliff stretches. Very nice. I was easily the slowest on the climb so I noticed some hiking signs to another col on the right side of the road. 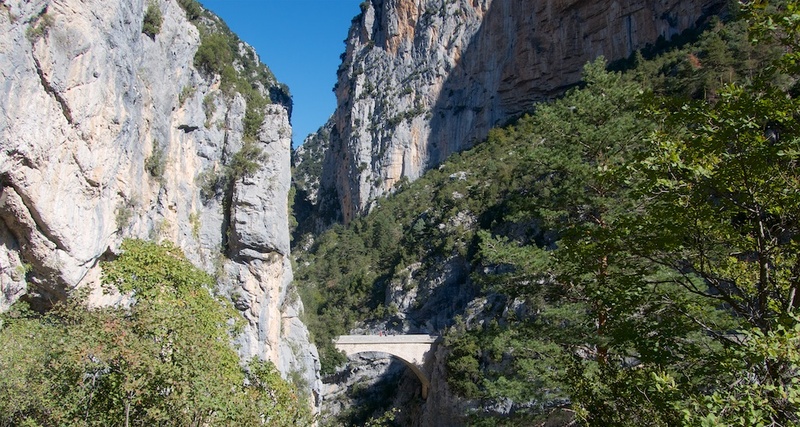 So when I reached Raphaël we decided on a change of plan and took a tiny paved road higher with the hope of discovering another col. A fantastic decision. 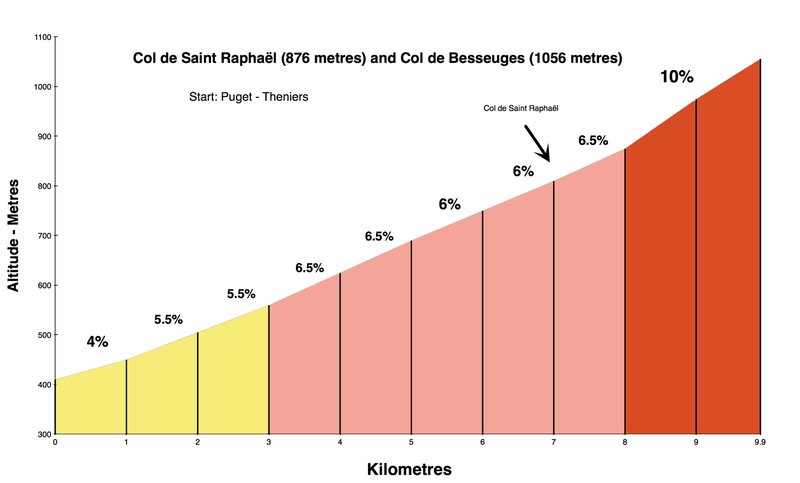 This terribly surfaced, very steep, but beautiful extension led to Col de Besseuges (1056 metres). 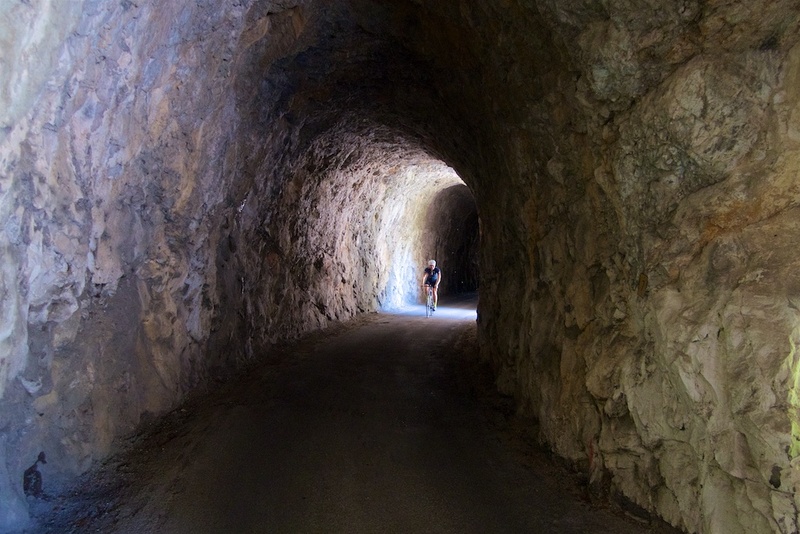 Thanks a million to my friend Tim for taking us on this incredible 90 kilometre loop. 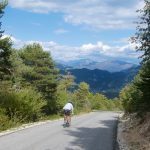 Five Cols and three Clues. Woohoo! Very cool post, Will! You’ve given me some more ideas. 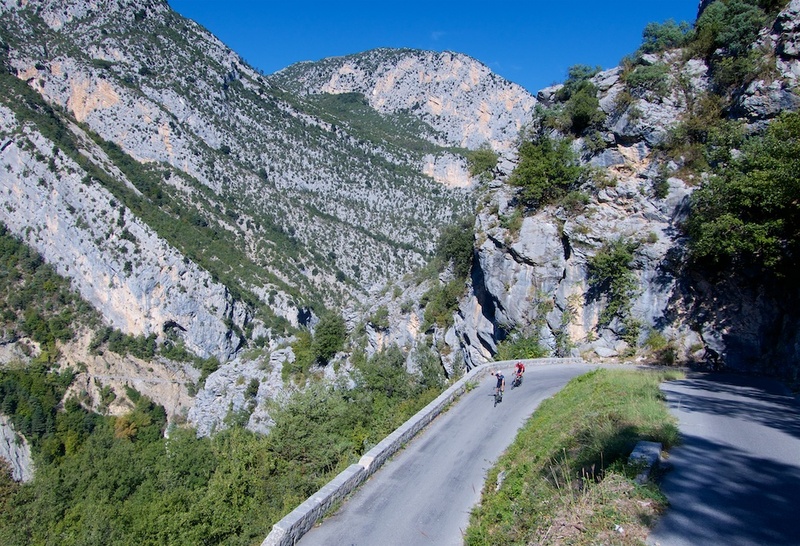 Speaking of clues, a fantastic ride is up or down the Gorges du Cians, with its Grande and petite Clues. Super narrow, and entirely composed of wine-red rock. 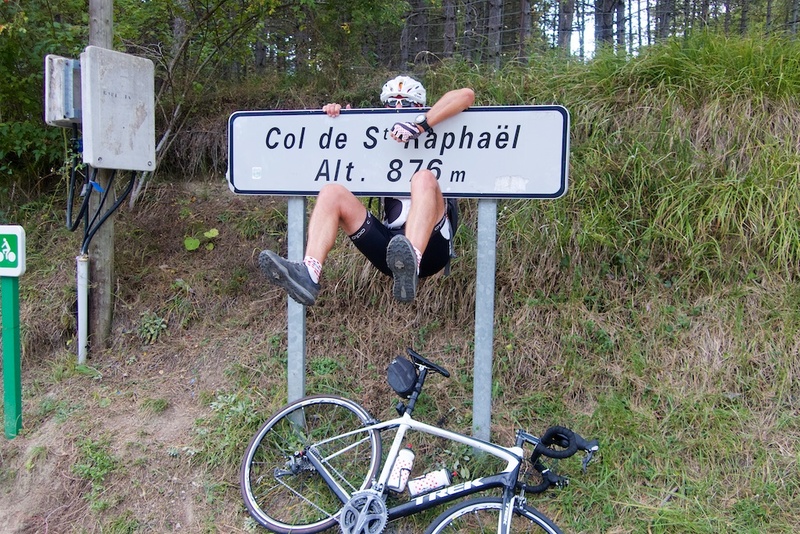 I did it a few years ago in a superb loop with the Col de la Sinne and the Col de Couillole. For the lover of tiny cliff roads, this loop is a must. Michael, Col de la Sinne is surfaced from each sides? Is it rideable on road bike? 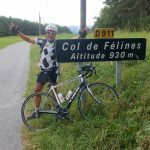 I did it in 2015 on my road bike, and the col was surfaced on both sides. 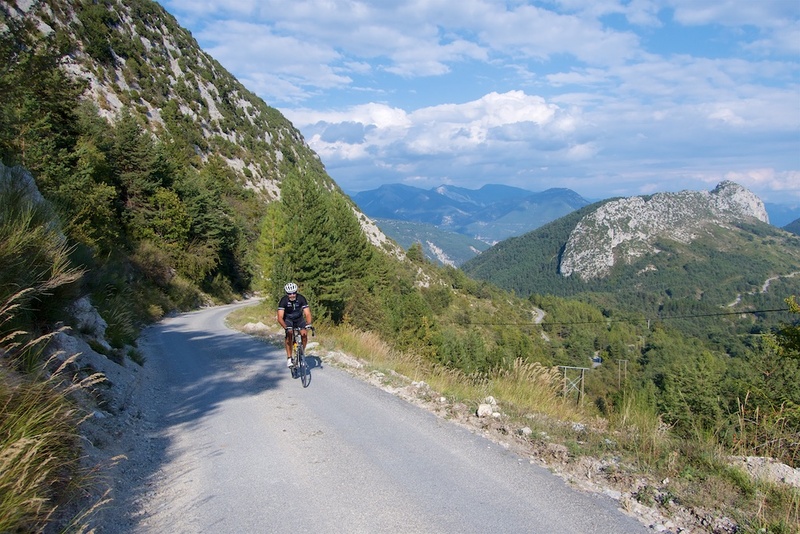 At times quite gravelly and so not an easy descent on the east side, but that can happen on many small back roads in the Alps. Spectacular views. thanks for info. 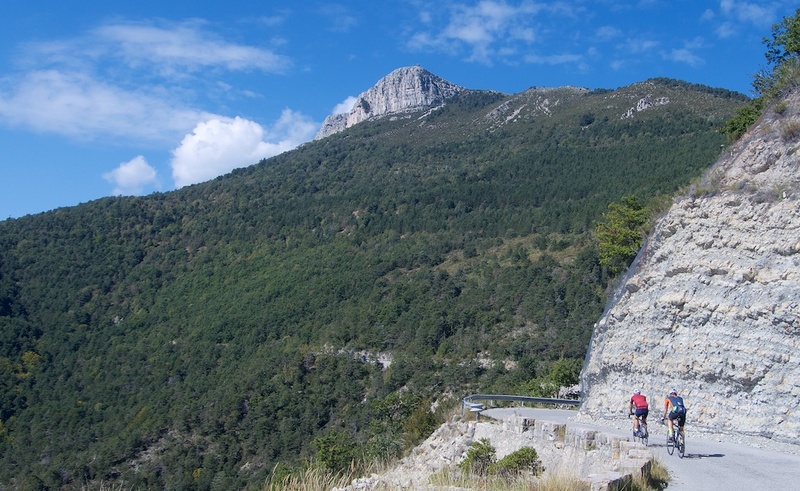 I must not miss this one in my next visit Provence Alps! My favourite lokation. 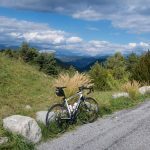 Another fine places/roads are for example Col de Bleine, Col du Trébuchet, road D27 via Ascros, road D1 via Conségudes, Col de l Ecre and Gorges du Loup and Col de Saint Barnabe + nice roads along two dams – Chaudanne and Castillon.